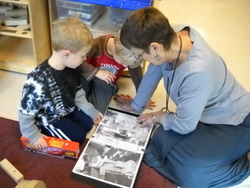 At Jewish Beginnings, our teachers and staff members alike seek to research and embrace the image of the child. We believe in educating the whole child and use specific educational goals to create an appropriate curriculum that has intentional progression and views the children as competent learners. 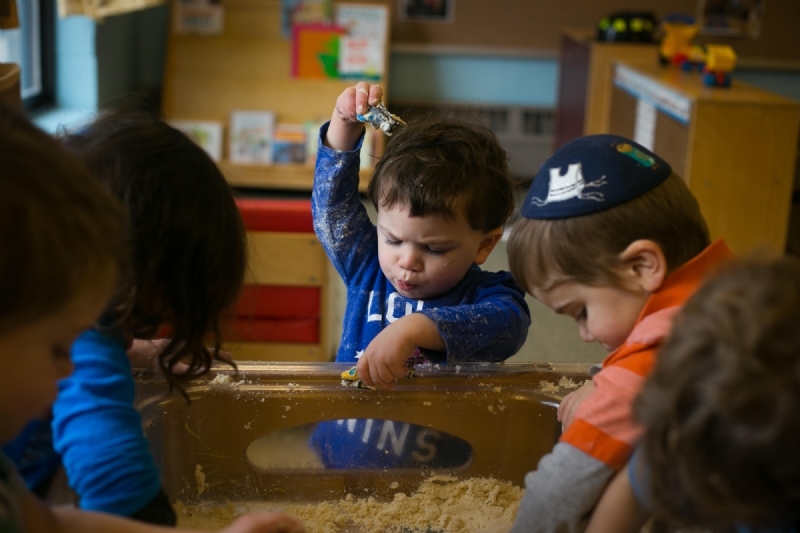 The Reggio Emilia philosophy, in conjunction with meaningful Judaic content encompasses the philosophies which our school stands behind, for best practices in early childhood education. 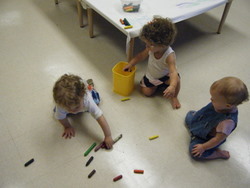 The Reggio Emilia approach to early childhood education has attracted the worldwide attention of educators and researchers. The National Association for the Education of Young Children (NAEYC), has a revised version of developmentally appropriate practices (DAP) guidelines that includes examples from the Reggio approach. Great attention is given to the look and feel of the classroom, the Reggio approach often refers to the environment as the "third teacher". 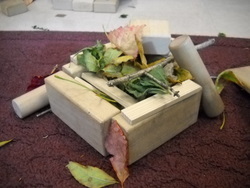 Teachers create environments rich in possibilities and provocations to extend exploration and problem-solving. Using the arts as symbolic languages through which to express understanding in their project work. Documenting and displaying the children's project work, which is necessary for children to express, revisit, and construct and reconstruct their feelings, ideas and understandings. Teachers act as recorders (documenters) for the children, helping them trace and revisit their words and actions, thereby making their learning visible. Supporting and enriching children's learning through in-depth, short-term (one week) and long-term (throughout the school year) project work. 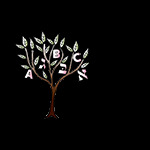 Projects are child-centered, following their interests, returning again and again to add new insights. The role of the teacher is first and foremost to be that of a learner alongside the children. The teacher is a teacher-researcher, a resource and guide as she/he lends expertise to children. Within such a teacher-researcher role, educators carefully listen, observe, and document children's work and the growth of community in their classroom and are there to provoke and stimulate thinking. Children, teachers, parents, and community are interactive and work together, building a community of inquiry between adults and children.